Yesterday was a good day. Occasionally difficult and messy but good. As a birthday gift I received an expansion card for my digital Mellotron the M4000D. I own several Mellotrons and Chamberlins so the M4000D is mainly for live work but as I have 100 new sounds to work with I have had it hooked, miked and ready to go. The 100 sounds include a bunch of farly odd sounds like Roxy Musics special effects and Black Sabbaths choirs. 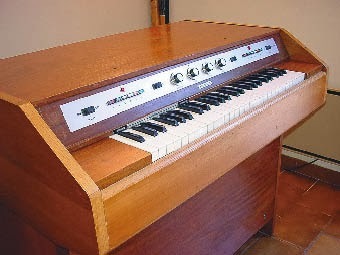 If you dont know the Mellotron is a tape replay instrument from 60s. It plays snippets of sounds from pre recorded tape. Some of the most famous sounds are strings (King Crimsons starless), Flutes ( The Beatles Strawberry fields forever), the 8 voice choir (Radioheads exit music for a film) and the Cello (Oasis wonderwall). Yesterday I started playing with a sound from the M300, the spanish guitar and it was mesmerizing. The sound is crooked and wobbly but it had something really special about it. Im not even sure if you could hear that it was a spanish guitar if I didnt tell you. I wrote a song on the sound and then added some other Mellotron parts. I had loads of other things to do but I just felt it was important to follow that first initial idea and record so that it wouldnt disappear. Now I have it more or less finished. It works as an instrumental piece but could also work with vocals. Remove the head, unless it is to be used for taxidermy purposes. Most taxidermy projects require a different, more difficult method of skinning, but that method is not the focus of this article. Another thing that was really great was also that we received a remix of a Akaba track from Emanuel Lundgren (Im from Barcelona) which was really great. Usually when people do remixes they are fairly respectful but this was just pretty bananas from the start which is fun and refreshing. Sometimes you dont want to get what you ordered. Today Ill be recording keyboards for a Heavy Metal album. Interesting indeed. As far as I can tell here will be no Spanish guitar on that one.